← … and how Theodore Roosevelt Helped! A big Abby’s Road anniversary! “On Thursday September 24th we wanted something different to do. What about a movie? What was playing? Not much. Some miles east of Bethpage we found a theater playing movies from the past summer. 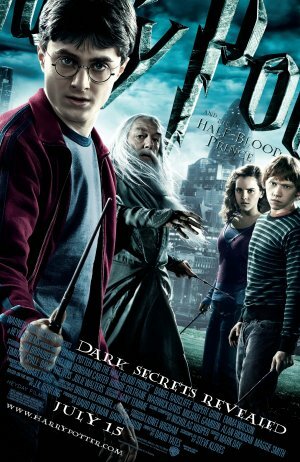 We found the theater online and the only thing that we wanted to see was “Harry Potter and the Half-Blood Prince”. Later that morning, our anticipation of the movie was made known to our Facebook friends. The theater was in a plaza with a Barnes & Noble and other shops. We stopped in the book store until it was time for the movie. Esther’s cell phone rang as we stepped out of the car in the theater parking lot. “It’s the attorney!” Esther said. Valerie’s attorney! Esther shook her head. I took this to mean no baby news. After the call Esther said he was calling to give us an update. After the Sunday night fiasco he probably decided some kind of control and oversight was needed. He was right. He was a week too late, but he was right. “Oh goodie,” I said without further comment. We were still standing beside the car. “That’s total,” said the lady in the ticket booth. Popcorn and two drinks cost even more than that. They had to have some way to pay for the mortgage on the theater. The place was immense! The auditorium was the size of a small baseball park. The chairs were larger and more comfortable than mine at home. Esther and I could barely reach to hold hands during the movie. Sweet! Three hours later, after a myriad of commercials, previews and the main attraction, I saw “Harry Potter and the Half-Blood formerly known as Prince”. I haven’t been this lost since I saw … well … “Lost”. The bit after the credits was cool though – Samuel L. Jackson as Nick Fury invites Harry to join the Avengers. I tease — the movie was pretty good, but it took Esther explaining most of the back-story to me on the way home to understand it. It’s getting to the point in the series that non-fans of the books should probably just stay home. Alan Rickman’s revelation that he is the half-blood prince almost seemed tacked on at the last minute, “Oh, shoot! We’d best explain the mystery of the title of the movie. At the time the best analogy I can come up with is if Lucas called the first Star Wars movie “Attack of the Sandpeople” —yes, but it was so dwarfed by the incidents of the rest of the movie as to be incidental. Later I thought of a better analogy – what if the book was called “Harry Potter and the Potions Class”. And yes I gave away the secret of the movie – it was from 2009 for god’s sake, chill out! Rosebud is a sled; Darth Vader is Luke’s father; the chick on “Crying Game” was a man and Norman Bates’ mother is dead. 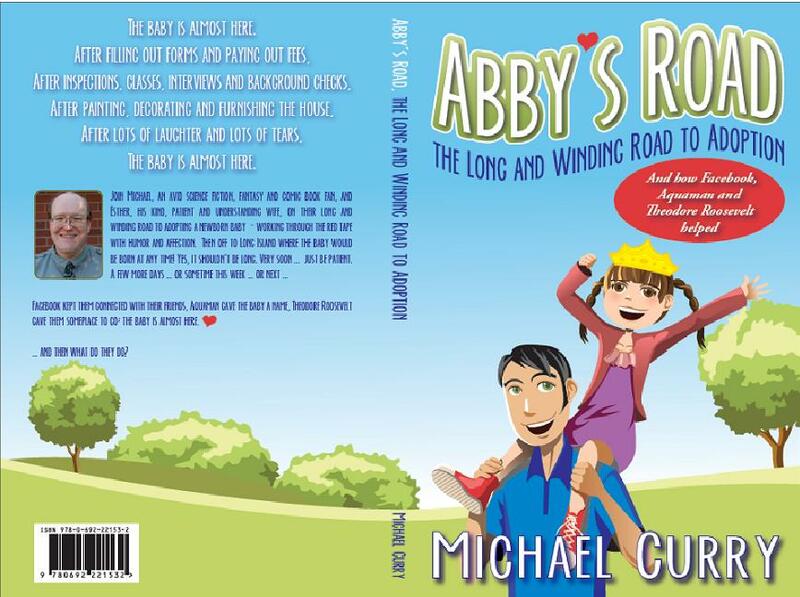 “Abby’s Road, the Long and Winding Road to Adoption and how Facebook, Aquaman and Theodore Roosevelt Helped” leads a couple through their days of infertility treatments and adoption. It is told with gentle (and sometimes not-so-gentle) humor from the perspective of a nerdy father and his loving and understanding wife. Join Mike and Esther as they go through IUIs and IFVs, as they search for an adoption agency, are selected by a birth mother, prepare their house, prepare their family, prepare themselves and wait for their daughter to be born a thousand miles from home.